This site will provide information for the sport horse breeder on Tesio Methods, sport horse bloodlines and sport horse history. Tesio Methods: what they are, why they are useful and how to apply them to your benefit in sport horse breeding will be explained here. Tesio Methods are based on statistically proven indicators of potency in the pedigree, and are the key to us being able to read our pedigrees and understand the genetics it represents. Sport Horse bloodlines: it is essential for our success to understand the bloodlines needed for our sport goals. By following the individual bloodlines back through the generations until they terminate in 'unknown', I have discovered the true roots of sport ability and which bloodlines are potent in them. Using DNA studies as a confirmation, as well as historical records, I will introduce you to these findings here, and I have provided more in depth and broader studies in my books. 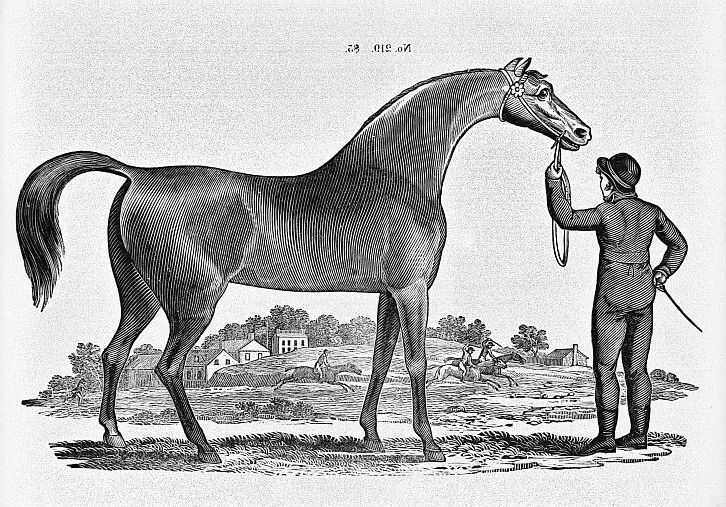 Sport Horse History: My breed focus has shifted to the North American breeds for a reason--after decades of pedigree database building and historical research it became clear to me that the North American breeds contain a greater percentage of true sport genetics than most other populations. I will share the outline of this knowledge with you here, along with my concerns for the political and financial challenges that are facing the traditional breeder of sport horses in America. This site has been completely revised with many of the original pages updated, some old ones removed and several new pages were added and will continue to be for some time--all with the aim of bringing you up to date on what my research has taught me. I hope you will enjoy my work and find it helpful in your quest to breed that perfect sport horse. Please access the site by the tabs on the left. Thanks.